The adjustment of tone in a piano is called piano voicing. A trained piano technician can make the sound of individual notes or entire sections of the scale sound brighter or softer and more uniform from top to bottom. When used properly, all pianos become more brilliant. Eventually, with the wear and tear of the instrument, the sound will become harsh and less pleasant. 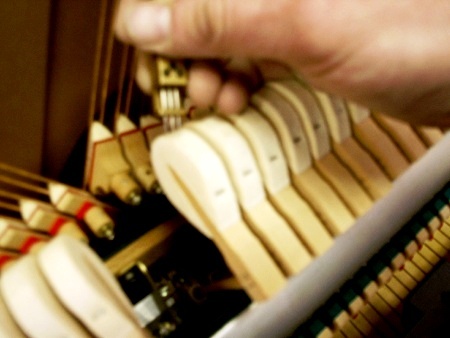 At the Toronto Piano Centre, our qualified piano technician can make the adjustments needed to restore the pleasing tone and overall quality of your piano.